Presenting race track black simple championship icon. This is a race track black simple championship icon. This is a four stage process. The stages in this process are race track, racing, athletes. Presenting race track green circular circuit icon. This is a race track green circular circuit icon. This is a four stage process. The stages in this process are race track, racing, athletes. Presenting race track location round participants icon. This is a race track location round participants icon. This is a four stage process. The stages in this process are race track, racing, athletes. 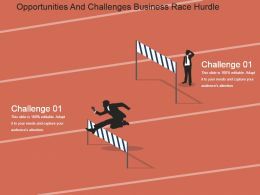 "Microsoft PowerPoint Template and Background with currency race"
"Microsoft PowerPoint Template and Background with people set on your marks ready to race"
Presenting this set of slides with name - Purpose Icon Race Track With Finish Line. This is a two stage process. The stages in this process are Purpose Icon, Aim Icon, Objective Icon. 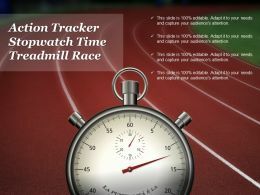 Presenting this set of slides with name - Action Tracker Stopwatch Time Treadmill Race. This is a one stage process. The stages in this process are Action Tracker, Activity Tractor, Act Tracker, Exercise Tracker. Presenting race track business partnership marathon icon. This is a race track business partnership marathon icon. This is a four stage process. The stages in this process are race track, racing, athletes. Presenting race track circuit two flags icon template. This is a race track circuit two flags icon template. This is a one stage process. The stages in this process are race track, racing, athletes. Presenting race track start finish award icon layout. This is a race track start finish award icon layout. This is a six stage process. The stages in this process are race track, racing, athletes. Presenting this set of slides with name - Finish The Race Track Icon With Ribbon. This is a four stage process. The stages in this process are Finish The Race, Reach Goal, Reach Destination. Presenting this set of slides with name - Finish The Race Track Two Persons Icon. This is a two stage process. The stages in this process are Finish The Race, Reach Goal, Reach Destination. Presenting race track starting ending flag arrows icon layout. This is a race track starting ending flag arrows icon layout. This is a one stage process. The stages in this process are race track, racing, athletes. 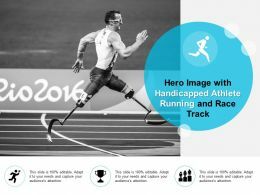 Presenting this set of slides with name - Hero Image With Handicapped Athlete Running And Race Track. This is a one stage process. The stages in this process are Hero, Brave Man, Champion. Presenting this set of slides with name - Finish The Race Icon With Flag And Track. This is a four stage process. The stages in this process are Finish The Race, Reach Goal, Reach Destination. 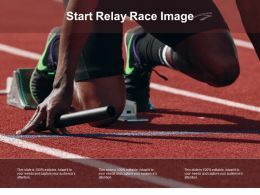 Presenting this set of slides with name - Start Relay Race Image. This is a three stage process. The stages in this process are Start, On, Begin. Presenting handoff showing relay race. This is a handoff showing relay race. This is a two stage process. The stages in this process are handsoff, warning, caution. Presenting relay race players running icon. This is a relay race players running icon. This is a two stage process. The stages in this process are racing competition, relay race, olympic. Presenting passing baton relay race icon. This is a passing baton relay race icon. This is a two stage process. The stages in this process are racing competition, relay race, olympic. 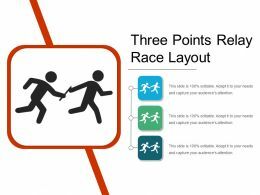 Presenting three points relay race layout. This is a three points relay race layout. This is a two stage process. The stages in this process are racing competition, relay race, olympic. 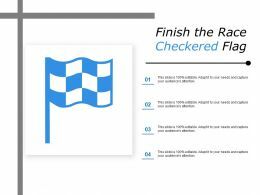 Presenting this set of slides with name - Finish The Race Checkered Flag. This is a four stage process. The stages in this process are Finish The Race, Reach Goal, Reach Destination. 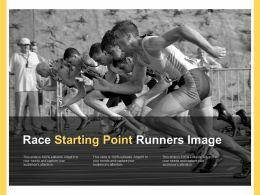 Presenting this set of slides with name - Race Starting Point Runners Image. This is a three stage process. The stages in this process are Start, On, Begin. Presenting baton passing hands relay race. This is a baton passing hands relay race. This is a two stage process. The stages in this process are racing competition, relay race, olympic. 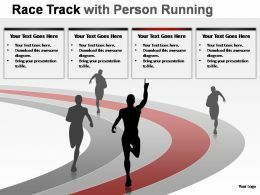 "Microsoft PowerPoint Template and Background with computer generated image currency race"
Presenting man running in relay race icon. This is a man running in relay race icon. This is a one stage process. The stages in this process are racing competition, relay race, olympic. 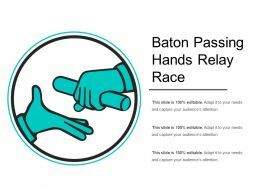 Presenting hands passing baton in relay race icon. This is a hands passing baton in relay race icon. This is a two stage process. The stages in this process are racing competition, relay race, olympic. Presenting man passing baton in relay race icon. This is a man passing baton in relay race icon. This is a two stage process. The stages in this process are racing competition, relay race, olympic. Presenting player passing baton in relay race icon. This is a player passing baton in relay race icon. This is a two stage process. The stages in this process are racing competition, relay race, olympic. Presenting relay race showing team work icon. This is a relay race showing team work icon. This is a two stage process. The stages in this process are racing competition, relay race, olympic. Presenting this set of slides with name - Finish The Race Icon With Winning Runner. This is a four stage process. The stages in this process are Finish The Race, Reach Goal, Reach Destination. Presenting motorcycle icon race bike with chequered flag. This is a motorcycle icon race bike with chequered flag. This is a one stage process. The stages in this process are motorcycle icon, bike icon, motorbike icon. Presenting white and yellow finish race icon. This is a white and yellow finish race icon. This is a one stage process. The stages in this process are flag icon, banner icon, ribbon icon. 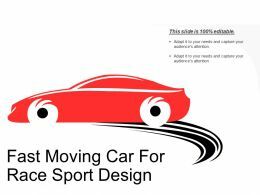 Presenting fast moving car for race sport design. This is a fast moving car for race sport design. This is a one stage process. The stages in this process are car in motion, moving car, car drive. 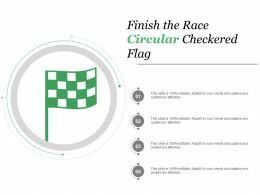 Presenting this set of slides with name - Finish The Race Circular Checkered Flag. This is a four stage process. The stages in this process are Finish The Race, Reach Goal, Reach Destination. 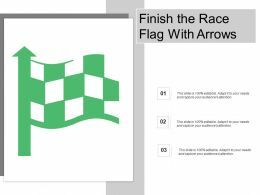 Presenting this set of slides with name - Finish The Race Flag With Arrows. This is a three stage process. The stages in this process are Finish The Race, Reach Goal, Reach Destination. Presenting this set of slides with name - Finish The Race Waving Flag Icon. This is a four stage process. The stages in this process are Finish The Race, Reach Goal, Reach Destination. 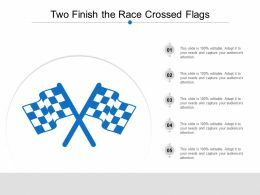 Presenting this set of slides with name - Two Finish The Race Crossed Flags. This is a two stage process. The stages in this process are Finish The Race, Reach Goal, Reach Destination. 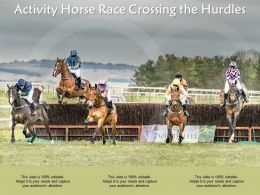 Presenting this set of slides with name - Activity Horse Race Crossing The Hurdles. This is a five stage process. The stages in this process are Activities, Tasks, To Do List. Presenting this set of slides with name - Baton Pass With Athletes In Relay Race. This is a three stage process.The stages in this process are Baton Pass, Relay Race, Relay Baton. Presenting readiness person bent on knees for race. 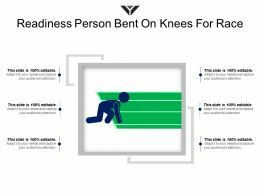 This is a readiness person bent on knees for race. This is a one stage process. The stages in this process are preparedness, readiness, preparation. Presenting players running in relay race with baton icon. 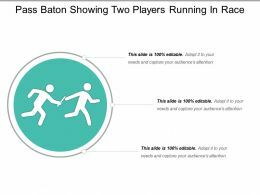 This is a players running in relay race with baton icon. This is a two stage process. The stages in this process are racing competition, relay race, olympic. "Microsoft PowerPoint Template and Background with four business people lined up in race to win boss chair rat race concept"
"Microsoft PowerPoint Template and Background with bikers pedal in a pack in a road race "
We are proud to present our 1113 3d people running in race ppt graphics icons powerpoint. 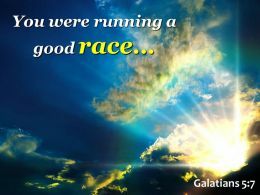 Our 3d People Running In Race Ppt Graphics Icons Powerpoint are designed to help you succeed. They have all the ingredients you need. 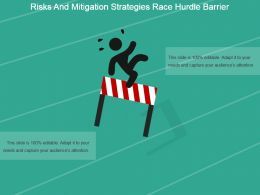 Presenting risks and mitigation strategies race hurdle barrier powerpoint slides. 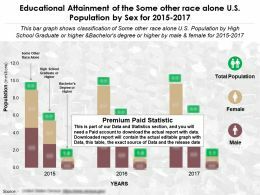 This is a risks and mitigation strategies race hurdle barrier powerpoint slides. This is a one stage process. The stages in this process are risk management, risk mitigation, risk planning. Presenting this set of slides with name - Finish The Race Car Icon With Dual Flags. This is a one stage process. The stages in this process are Finish The Race, Reach Goal, Reach Destination. 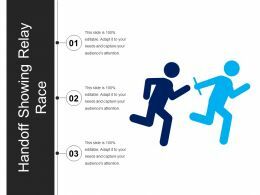 We are proud to present our 1813 3d people running a race ppt graphics icons powerpoint. 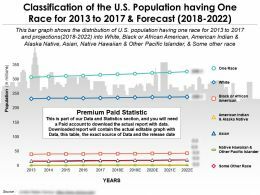 Our 1813 3D People Running A Race Ppt Graphics Icons Powerpoint will fulfill your every need. Use them and effectively satisfy the desires of your audience. 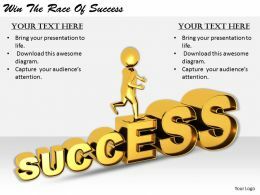 We are proud to present our 1013 3d man winning a race ppt graphics icons powerpoint. Our 1013 3d Man Winning A Race Ppt Graphics Icons Powerpoint are the chords of your song. String them along and provide the lilt to your views. We are proud to present our 1813 3d man winning the race ppt graphics icons powerpoint. Our 1813 3D Man Winning The Race Ppt Graphics Icons Powerpoint are topically designed to provide an attractive backdrop to any subject. Use them to look like a presentation pro. We are proud to present our 1013 3d man competing in race ppt graphics icons powerpoint. 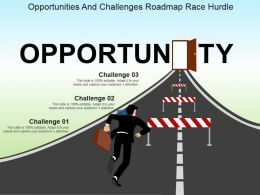 Use our 1013 3d Man Competing In Race Ppt Graphics Icons Powerpoint to weave a web of your great ideas. They are guaranteed to attract even the most critical of your colleagues. 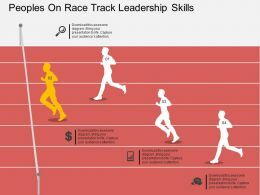 We are proud to present our 2513 3d man ahead in race ppt graphics icons powerpoint. 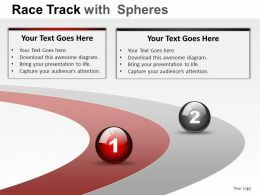 Use Our 2513 3d Man Ahead In Race Ppt Graphics Icons Powerpoint To Weave A Web Of Your Great Ideas. They Are Guaranteed To Attract Even The Most Critical Of Your Colleagues. Presenting this set of slides with name - Activity Marathon Race Competition For The Cause Of Woman Empowerment. This is a one stage process. The stages in this process are Activities, Tasks, To Do List. Presenting pass baton showing two players running in race. This is a pass baton showing two players running in race. This is a three stage process. The stages in this process are pass, progress, proceed. 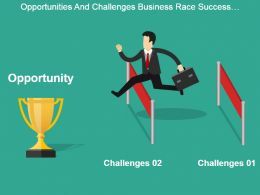 "Microsoft PowerPoint Template and Background with world race"
"Microsoft PowerPoint Template and Background with world economy race"
"Microsoft PowerPoint Template and Background with the start of a go kart race"
"Microsoft PowerPoint Template and Background with Row of business people getting ready for race". 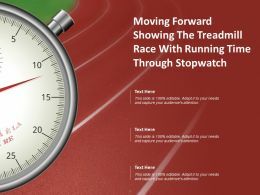 "Microsoft PowerPoint Template and Background with three business people running with briefcases cross the finish line"
"Microsoft PowerPoint Template and Background with three dimensional dollars with stripes"
"Microsoft PowerPoint Template and Background with red open wheel race car over top of a glossy transparent earth"
Presenting this set of slides with name - Moving Forward Showing The Treadmill Race With Running Time Through Stopwatch. This is a one stage process. The stages in this process are Moving Forward, Moving Ahead, Thinking Ahead. 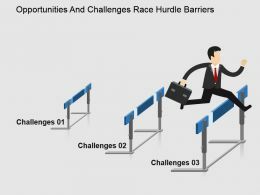 We are proud to present our 1813 3d people in race of career ppt graphics icons powerpoint. 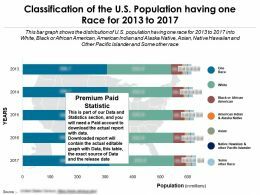 Our great team has conjured up a web of 1813 3D People In Race Of Career Ppt Graphics Icons Powerpoint. Use them to string together your glistening ideas. 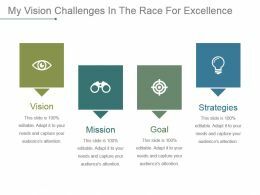 Presenting my vision challenges in the race for excellence powerpoint slide design ideas. This is a my vision challenges in the race for excellence powerpoint slide design ideas. This is a four stage process. The stages in this process are vision, mission, goal, strategies. 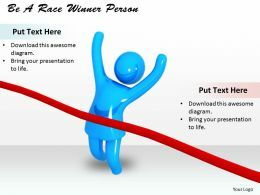 This PowerPoint Template shows graphic of 3d Men running to win race competition. 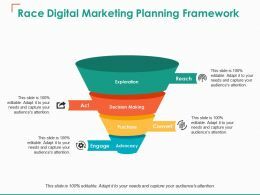 This helps you to chart the path ahead to arrive at your destination and achieve the goal and also emphasizes on the relevance and importance of all milestones along the way. "Microsoft PowerPoint Template and Background with 1500 meters short track speed skating heats"